Last June we wondered about new leadership in Danish churches when a longtime pastor retired from the pulpit at Kristuskirken, the Odense Baptist church. Where would the next generation of pastors come from? So here’s the answer, at least in Odense, where they’ve called a new senior pastor for that multi-ethinic congregation. Henrik Krak Søndergaard begins his service there as of October 1, and is scheduled to preach his first sermon October 6. Forty-seven years old, he’s trained as a teacher, and earned a distance degree in theology from an American university. He has also worked with youth and children at Bredballe Kirke and has been a member of the Kolding Valgmenighed church, a fellowship associated with the growing Danish Oase renewal movement. Svend Ryborg was installed September 15 as a half-time pastor at Kronborgvejens Church Center in Thisted, northwest Jylland. He comes from within this church, having held leadership positions there for several years. He’s also served in leadership with Oticon, the Danish-based hearing aid manufacturer. In his new position he hopes to concentrate on leadership development within the church. Another Svend, Svend Vestergaard Jensen, was installed as a part-time pastor at Din Frikirke in Haderslev, a town in southeast Jylland. Hasse Falk Jakobsen is the new pastor at Nexø Free Church on the remote island of Bornholm. Though born and raised on the island, for the past 18 years he has served as pastor and worship leader at Vineyard fellowships in Copenhagen and Roskilde. Outgoing pastor Michael Grønbech-Dam and his wife Mette will remain in church leadership, as well. 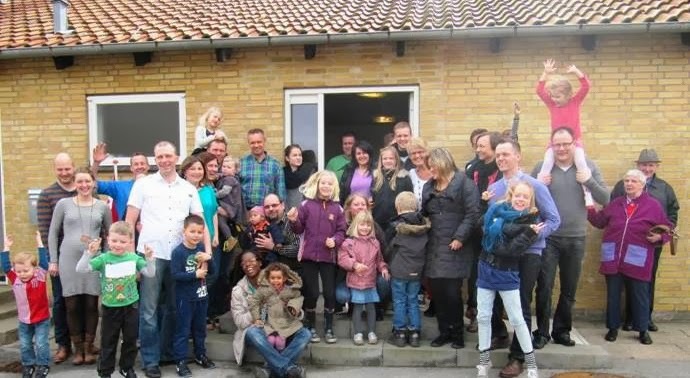 Former youth pastor David Højgaard is now volunteering at the Kaas Free Church (northern Jylland) to help especially with youth and a monthly international service. He had previously served in the Vanløse Free Church and Bethaniakirken in Aalborg. PRAY for these new leaders. Whether they’re paid, volunteer, part-time or full-time, pray the God will use them to grow His church in Denmark. PRAY that God would fill each one of these new leaders with wisdom and a fresh vision for what’s ahead. PRAY for protection for each one. PRAY for their families, and for the adjustments as they take on new responsibilities in a new place. PRAY for each of the fellowships mentioned here, that they would support their new leadership as together they worship and serve. And PRAY that God would continue to raise up even more new leaders for the Danish church. This is an exciting time!